Request Your Marketing Action Roadmap™ to Attract More Clients. Clients in Toronto, GTA, across Canada, and a few in the good ol’ U.S.A. If you are a small business owner searching for the right marketing partner, it’s important to take your time in choosing a marketing company that truly understands the challenges of marketing a “small business.” Our team works exclusively with small business owners and has consistently delivered results since 2007. We invite you to read the client reviews on our website and social media such as LinkedIn and Google Plus profiles. At McCabe Marketing, we have the experience necessary to develop a strategy and marketing plan to meet the unique needs of your small business. Performing an audit of your marketing activities helps us to understand your challenges and successes and is a foundation for your plan. Marketing strategies for every small business must be carefully crafted to align with your business goals and your brand identity. For over 12 years we have worked with small business owners across the Greater Toronto Area and beyond we’ve become highly-skilled in delivering strategies and plans that offer the best possible return on your marketing investment. We’ll always spend your marketing dollars as if they were our own, ensuring that we recommend cost-effective solutions that deliver real, measurable results. Create a Marketing Action Roadmap™ to Attract More Customers. We’ve trademarked the phrase which Maureen McCabe first used during a CTV interview. Because many business owners type the keyword phrase into Google “small business marketing toronto”, we have used those keywords to help with our SEO. We want to to keep our page-one ranking on Google. If you want to learn more about SEO and to pick up a few tips, read our blog. When you work with McCabe Marketing, your small business marketing plan will begin with an initial consultation where our team will learn more about your business and how it works. We’ll talk about your overall objectives and how we can help you achieve them. Whether you need help with a specific project you haven’t had the time to get around to, or you would like us to come up with entirely new small business marketing ideas to attract more leads, we can help. If you are ready to jumpstart your small business marketing plan, contact McCabe Marketing today to schedule a free initial consultation. We look forward to working with you to create marketing strategies that work! 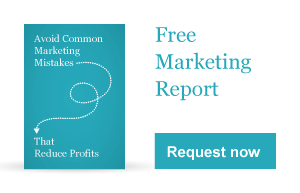 Jumpstart your sales and profits by connecting some key marketing gaps and adding a fresh selling program. Let us help you get your marketing back! Maureen is a fireball. When she decides to do something, nothing will stand in her way!